The annual USAP Forum was held under the theme “Building the USAP Network, Empowering Communities” July 15-17 at Smith and Amherst Colleges. The conference aimed to foster strong connections within USAP and to expand the network to benefit our communities. We envisioned that at the end of the forum, USAP would be leveraged into a more robust and influential network. 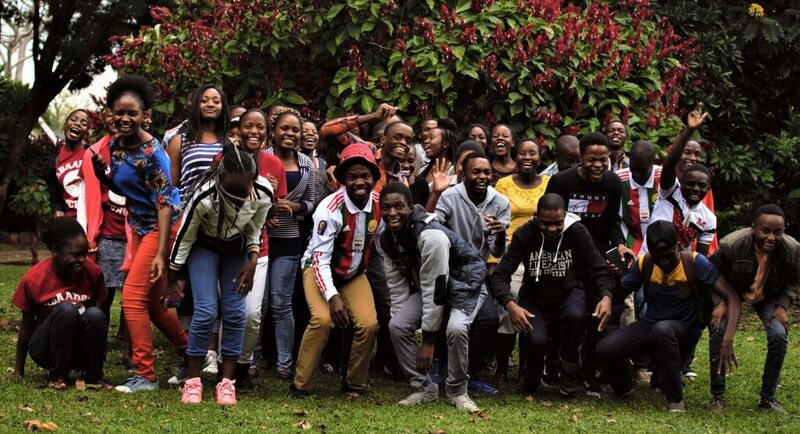 The 2016 forum aimed to bring together USAP students and alumni from all represented countries to explore and discuss ways to mobilize and facilitate the empowerment of the communities we come from. The forum was built on the 2015 forum theme, “Rekindling the Fire.” In July 2016, we focused especially on using our skills and knowledge to leave the spaces we enter better than we found them. Additionally, the forum was a culmination of ideas for how we can creatively respond to obstacles and empower our communities to influence local governments and other authorities to address areas of vulnerability. Late Friday afternoon had USAP family and friends flying and driving into Northampton from different parts of the United States. Registration was at Smith College, and the students and Education Matters staff Chenjerai Katanda and Rebecca Zeigler Mano, USAP founder, were warmly welcomed by Lisa Johnson, the Assistant Dean for International Study at Smith College. The rest of the evening was laid-back as USAP students from Malawi, Nigeria, Zambia and Zimbabwe arrived and made their temporary home at Smith College. This year, the USAP Forum planning committee invited two keynote speakers to talk about the theme “Building the USAP Network, Empowering Communities.” The day’s events kicked off at Amherst College. Dr. Sikochi with his family cutting the USAP Forum cake. Dr. A Sikochi, USAP Class of ’05 and Penn State University, PhD ’16 talked about his experience in the U.S.A from the time he was an undergrad student at Middlebury College through his new appointment as a professor at Harvard Graduate School of Business. He used networking to move up the career ladder and encouraged us all to face our fears and put ourselves out there in terms of networking and connecting with people. The only way to move up, he mentioned, was to at least have someone at the other side of the rope looking out for you. Dr. Sikochi advised the USAP students to not lose touch once they start attending college, but instead, to grow even more connected and help each other work towards a successful future. He encouraged the USAP family to actively rebuild the USAP network in various ways that included mentoring the incoming USAP class during their transition from high school to college, creating an online USAP database or tool that helped USAP students to stay in touch and having regular USAP meetings beyond the annual USAP Forum. Dr. Zaza Kabayadondo, Co-Director of the Design Thinking Initiative at Smith College, took a different initiative at discussing the annual theme. For the past seven years, she has been using design thinking to tackle “wicked problems” since she first started training teachers and students in the San Francisco Bay Area and thus gave an illustrious talk on design thinking and how to implement it in the various fields an individual may be interested in. Her talk focused mainly on human-centered design thinking which places human needs at the center of problem solving. Joshua Foromera of Harvard Med School defends the alumni goal. The heavy but enlightening discussions were followed by a competitive but social soccer game in which USAP undergraduates played against the USAP alum in a 10 aside amateur friendly match with both sides having an option to make an infinitive number of substitutions. The fun managed to draw a large number of people- from freshmen to PHD holders, females to males, and amateur soccer players to pros- together. The match kicked off just after lunch at Amherst and both parties seemed to have long anticipated for this hour. Just a couple of minutes after the match started, the odds seemed to be in favor of the energetic undergraduates who managed to secure an amazing lead of 2 for 1 in the first half. The second half turned out to be more enthralling as undergraduates, who by this time had resorted to defensive means, began to feel the fighting spirit within the grads team. After a stiff competition, the grads students questionably ended getting a 5-4 victory, thus proving that the theorem, “with age comes experience” still holds. Although the match was intense from the word go, everybody seemed to have had a lovely time. The events of Saturday were wrapped up with the festive “Talent and NO Talent Show” where all the USAP family and friends sang and danced the night away. An atmosphere that invited people to reminisce about their childhoods and let them be free enough to let themselves go was created through the show which was hosted by Rutendo Madziwo. The group, “VanaSekuru”, which comprised of the older USAP generation- Siko, Tich, Rodney and Ranga – danced away to a lively “Ayuwi yuwi,” bringing laughter to the whole audience. The ladies also decided to burn the dance floor when a group led by Chiedza Mufunde began their dance to the patriotic Zimbabwean song Rambai Makashinga. The song brought a lot of dancers to the floor and was ended by Takudzwa, an Amherst College rising senior, stealing the show with his famous and exceptional sungura dance. Takudzwa also became one of the highlights of the night when he paired up with his senior, Nigel, to sing an amazing rendition of famous pop songs rearranged in our favorite and usual African way. We also cannot forget the beautiful and soothing voice that sang “One Love” by Phillip Adama, USAP Nigerian alum, which brought us together as one. Another beautiful part of the evening was listening to Dr. Sikochi’s two daughters led by Tichakunda Mangono singing the Shona gospel song “Simudza maoko ako” with everyone joyfully clapping along. The dancing carried on into the wee hours of the night as the younger USAPers took over the dance floor. Energy Maburutse graduated from Lynn University. The USAP family held a heartfelt memorial service for Energy Maburutse who sadly passed away on the morning on February 24,2016. Energy grew up in his family’s rural village as one of seven children in the Eastern Highlands of Zimbabwe. He was fortunate to go to school, a rare privilege for disabled children in Zimbabwe, first at Jairos Jiri and then at King George VI School in Bulawayo. While at KGIV, he was an avid marimba player and joined the band Liyana that toured both Europe and the United States and about which an Oscar winning documentary film was made. After attending Petra High School for A levels on a scholarship, Energy was selected to be part of USAP and he obtained a Presidential Scholarship at Lynn University in Florida. He graduated from Lynn in 2015 with a degree in political science and communications and working in the admissions office. Energy sadly passed away due to the brittle bone disease (Osteogenesis Imperfecta) that had worsened over time. Memories of him will forever be engraved in our hearts. Sunday morning, we had a frank discussion, led by USAP founder Rebecca Zeigler Mano, who gave a briefing on Education Matters, the new mother body of USAP and other education programs. She explained how and why she founded USAP and largely emphasized on the four tenets that make every USAP student. She focused mainly on the ethos of giving back to community and asked each of us to think about the role that USAP has played in their life, whether or not they see USAP in their past, present, future or all three, and how we would like USAP to continue to play a role. The question at the end of the forum remains, “How do we package the USAP forum to meet USAP where it is now?” The network has expanded during its fifteen years and is still evolving. Some of the alumni have families while others have various kinds of professional jobs that have scattered them all over the world. How best can we meet these needs as a community in order to maintain our network and fulfill our dreams to legive? Previous Previous post: An Intern’s Perspective: Women’s Movement in Zimbabwe?